Christine Mallinson is Professor of Language, Literacy, and Culture and Affiliate Professor of Gender and Women Studies at the University of Maryland, Baltimore County (UMBC) in Baltimore, Maryland, US. Her second book, We Do Language: English Language Variation in the Secondary English Classroom, co-authored with Anne H. Charity Hudley, is published by Teachers College Press in the Language and Literacy Series (2014). Her first book, Understanding English Language Variation in U.S. Schools, also co-authored with Anne H. Charity Hudley, is published by Teachers College Press in the Multicultural Education Series (2011). Mallinson is also the co-editor of Data Collection in Sociolinguistics: Methods and Applications (Routledge, 2013). Her other publications appear in journals including Language and Linguistics Compass, American Speech, Gender & Language, and Language in Society, and in several book collections, including the Oxford Research Encyclopedia of Linguistics, the Oxford Handbook of Sociolinguistics, and the Sage Handbook of Sociolinguistics. She also serves as the associate editor of the journal American Speech and is on the editorial board of the Sociolinguistics division of Language and Linguistics Compass. She works with K-12 teachers through lectures and workshops sponsored by public and independent schools throughout the US and has also delivered workshops about language and communication to judges and clinicians. 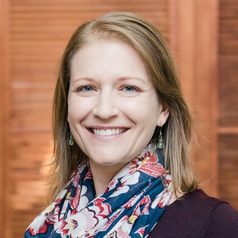 Her research investigates language in its social context, with a focus on American English — specifically Southern U.S., Appalachian, and African American varieties — and addresses some of the most chronic issues that contribute to opportunity gaps in the U.S., particularly in the realm of education.